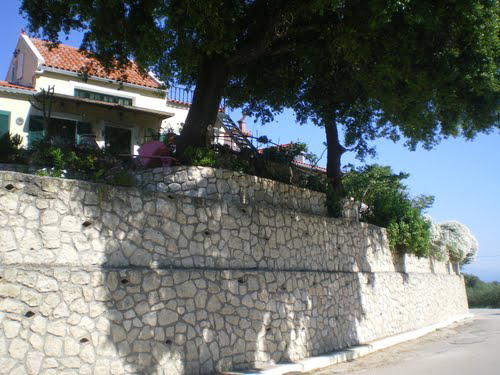 Five kilometers from Lixouri to the northwest, we find Monopolata. 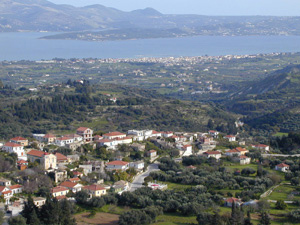 It is one of the many villages of the peninsula Palliki, in the west of Kefalonia. It has about 90 residents and is built at an altitude of 236 meters above sea level. The main church of Monopolata is Zoodoxos Pigi, where every year, five days after Easter, is celebrated with pomp and Liturgy through the streets of the village. Easter and its customs are honored to Monopolata, with the burning of Judas and the breaking of the pitcher, and the procession of the Epitaph, from the church in the village center, to Agios Konstantinos, in the cemetery. Near to Monopolata, you will see the villages Dellaportata, Kaminarata and Rifi, while you will swim in one of the most beautiful beaches of Kefalonia, Petani. If you prefer a little more adventure, go from Monopolata south to Platia Amos: besides being completely unorganized, you will need to go down 400 stairs to swim in the turquoise waters invite you from above!